The fox Brien was seriously responsible. Although he was often fooled by fox friends, Brien liked his own qualities and faced himself very honestly every day. When ordering please choose belly or dress section! 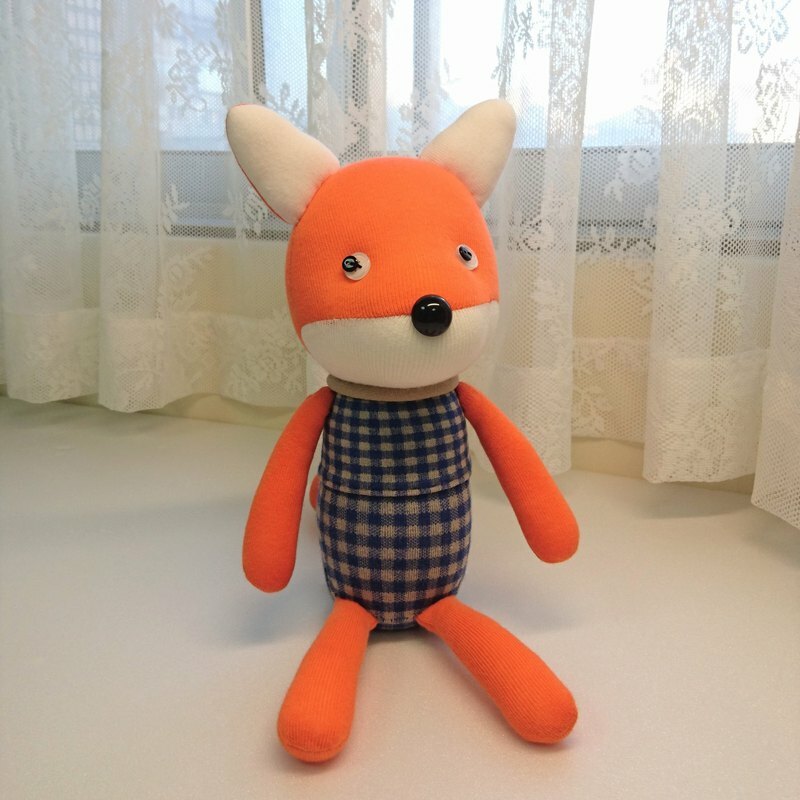 We want to bring warmth and joy to our guests with the use of good quality socks and creative designs to make dolls. / Size / Clothing: sitting about 24 ~ 27cm, including about 33cm. Belly white paragraph: sitting about 24~27cm, including feet about 30cm. / Material / Cotton Socks, Cotton, Other Accessories / Features / Hand-made, fine workmanship, good texture / Customized / Hand-embroidered Chinese and English alternatives are free, increase the number of characters please contact the designer / Cleaning instructions / Each sock and doll is hand-made. It is not recommended to wash it with a washing machine, which can easily cause deformation. If it is partially soiled, use a dishwashing detergent or mild detergent to apply it to the dirty place and gently wipe it with your finger or a soft-bristle brush; if the entire sock is to be cleaned, be sure to wash it by hand and soak it with a neutral detergent. Gently rub with your hands or gently brush with a soft brush, rinse the foam with a washing machine, then dry it flat.